Assortment of Laboratory Glassware Clamps Heavy Duty SS & Nylon . New Life Scientific, Inc. 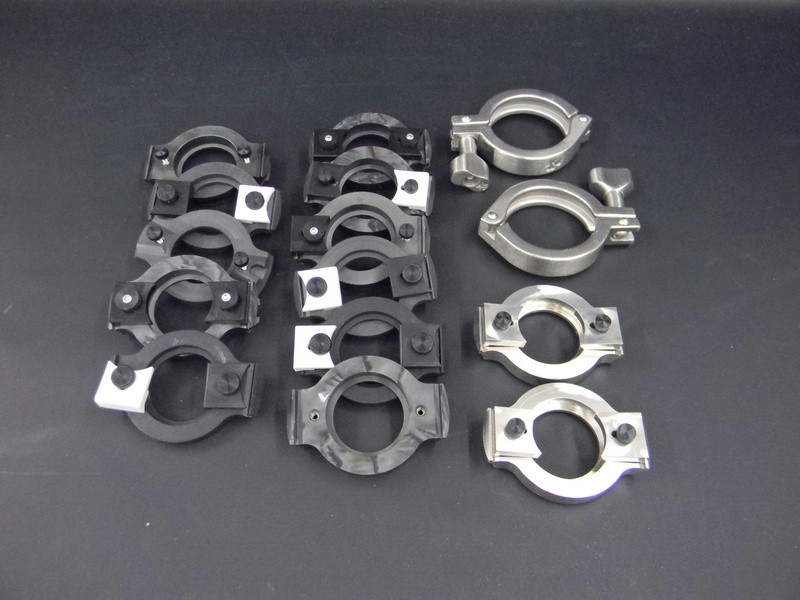 These are used clamps that were removed from a decommissioned laboratory when New Life Scientific acquired assorted glassware and laboratory equipment. These clamps are made from two materials and will be sold as a lot. For more information, please see the photographs and the sizing below.